You can now watch a new animated video about the Scent project. Scent is an EU-funded research project with the objective of enabling citizens to take part in environmental monitoring to prevent flooding. Scent has created the two-minute video to introduce citizens to the project, and inspire them to join the Scent movement. The animation highlights a suite of innovative, new smart technologies and systems – known as the Scent Toolbox – which enable citizens to monitor changes in their local environment. 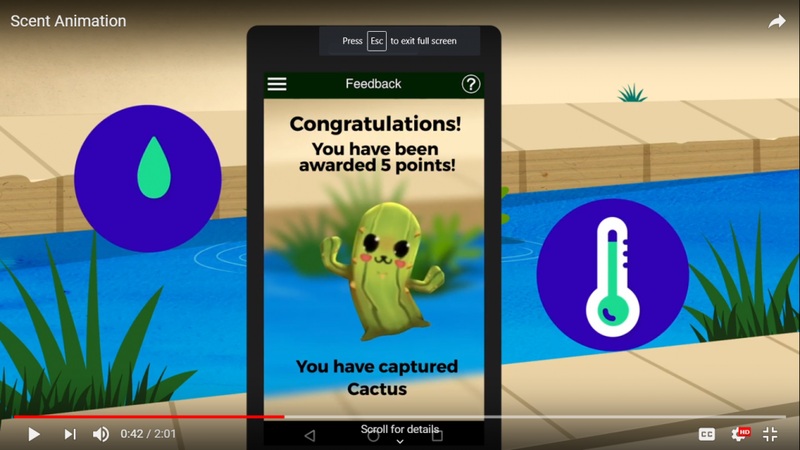 In particular, the animation introduces Scent Explore and Scent Measure, two new gaming applications where citizens use augmented reality to ‘catch’ hidden Scent creatures and earn points. Citizens catch the creatures by taking photos or videos of areas of important environmental interest. The valuable data collected by the citizens contributes to the creation of flood models for the prevention of disasters in flood-prone regions.